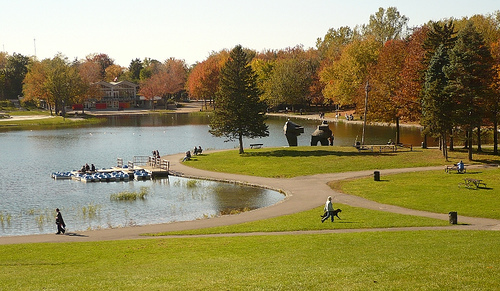 A guide to the best places to run in Montreal, Quebec. Montreal is the second largest city in Canada and one of the oldest cities in North America, founded in 1642. The city itself is an island, on the St. Lawrence River, and is framed by Mount Royal. Montreal has a very walkable downtown, filled with great restaurants, bars, and shops. With French as the predominant language, the city has a cosmopolitan flair. There is an excellent metro and bus system, with commuter trains serving the suburbs. From a running perspective, Montreal is a city of running extremes. It can be either really hilly or really flat. It can be hot, or bitterly cold. But there are some wonderful running opportunities. 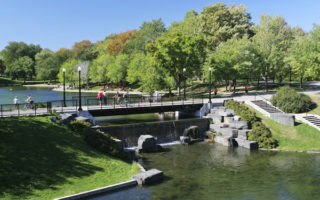 The city is probably best defined by the Olmsted-designed Mount Royal, which is in the heart of the city and can be accessed from downtown. It is a thrill to run to the “Croix”, the cross at the summit. 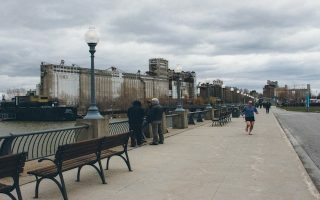 Other pleasant running is along the Lachine Canal, and also along the St. Lawrence River through Old Montreal and the Old Port. Winter is a defining element in Montreal. Is is among the coldest and snowiest major cities in the world, with temperatures reliably below freezing and snow on the ground from mid-November until late March. Montrealers embrace their severe but beautifully snowy winters, venturing out on X-C skis and yak-traks. Note: In winter, the trails such as those along the Lachine Canal are not maintained, and are generally not run-able. On Mount Royal, there are enough runners and walkers that the snow gets packed — in fact, running there on a snowy night can be magical. 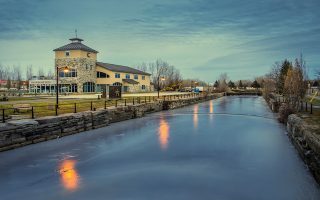 A national historic site, the Lachine Canal is a lovely linear park, following the historic canal and its series of locks. A great run is to start at the famous Atwater Market, to its terminus in Lachine. Montreal has a wonderfully preserved and refurbished old port and old city. There are numerous running options, down to the paths in the Old Port and the “Basin de Horloge”, and passing the famous Notre Dame church. This is a hilly but rewarding run. 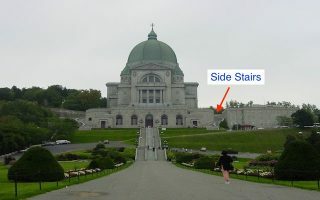 Climbing the stairs in front of the iconic St. Joseph's Oratory, and enjoying the residential streets and loop around the summit of Westmount -- one of Montreal's most affluent areas. Lovely urban park with fields, statues, paths, and cafes. One can put together a good couple of miles within the parks's paths. For a longer run, the adjoining Plateau neighborhood is fun. Or do a bagel run to Fairmont Bagel! 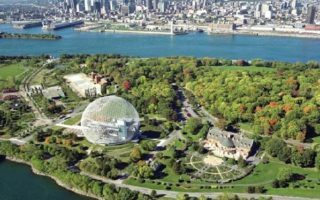 A unique and spectacular route, running from downtown to St. Helen’s Island, site of Montreal’s historic Expo 67. 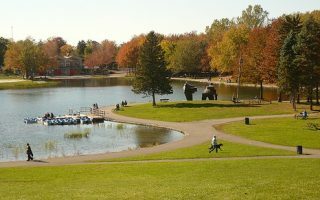 The island is now a large park, with pleasant walking/running paths and lovely views of the St. Lawrence River. A 13.5 mile long path along the St. Lawrence River, from Verdun to Parc René-Lévesque in Lachine. 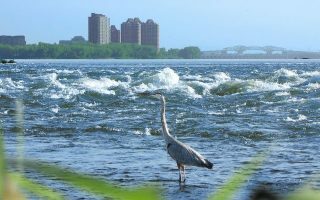 Take in the magnificent views of Lac Saint-Louis and the spectacular Lachine rapids. Parc Frédéric-Back is home to Parkrun, a free group 5k held every Saturday morning. Montreal has warm to hot summers and very cold winters. 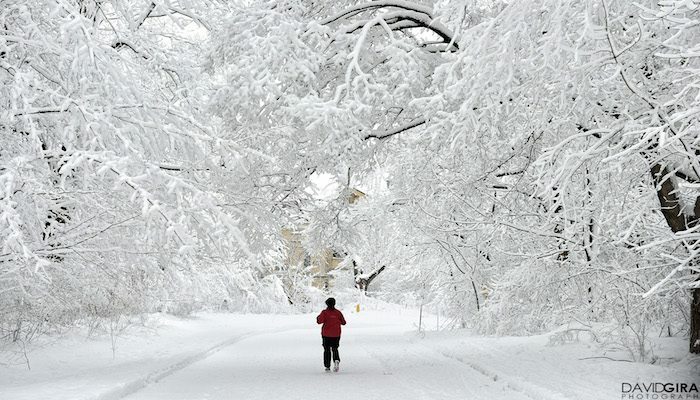 Runners will have to plan for a Montreal winter, where the average low temperature in January-February is in the single digits (F) and average annual snowfall is 85 inches with consistent snow/ice on the ground from December to March. 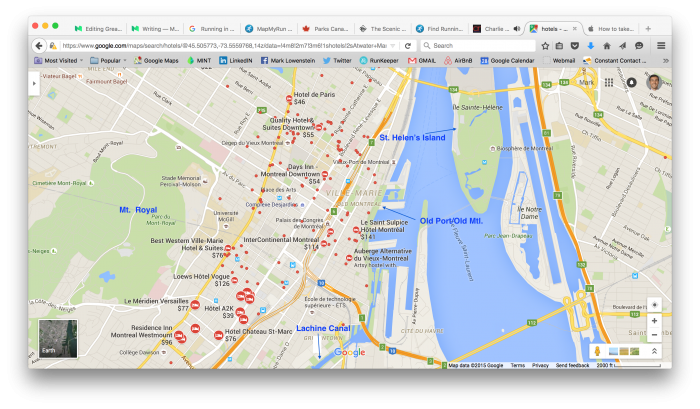 Montreal is a fairly compact city. Access to good running routes is available from the main downtown hotels. The heart of downtown is between Atwater to the west and Bleury to the east. One can access Mount Royal, Old Montreal, and the Lachine Canal from most downtown hotels. Coin de Coureurs (Running Room). Three downtown locations. Great running store. 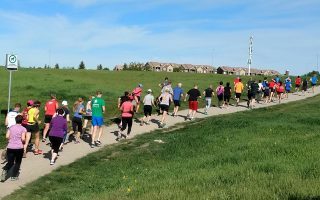 Group Runs: Ave De Park and Marche Central run clubs Wednesday 6pm and Sunday 8:30am. Place Ville Marie location Wednesday 12pm & 6pm and Sunday 8:30am. Westmount location: Wed. 6:00 p.m. & Sun. 8:30 a.m. Thanks to Chris for some of his help and advice! There are two main running clubs in Montreal. Club Vainqueurs. More on the eastern end of the island. Boreal Run Club. Serves more the western end of the city. Numerous group runs and some good additional running maps.